Restoring missing teeth with dental implants is the latest and greatest technique to give you your smile back. It offers many benefits such as comfort, aesthetics, security, and easy maintenance. If you are missing any teeth and would like to learn more about getting dental implants, you need to find a qualified and experienced dental professional for the job. Here are some tips on doing so. Dentists or oral surgeons who perform dental implants should have training specifically in the procedure. Look for a professional with credentials like a dentistry degree from a reputable university, participation in continuing education programs, and membership in dental organizations. 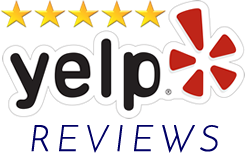 Look online for reviews of the dentist and practice, and be sure to ask friends and family for recommendations. Word of mouth is often the best way to find a healthcare professional. Ask to see before-and-after pictures of dental implants performed by the dentist. Request to see cases similar to yours. A quality dental office should have the latest advancements in technology and equipment so that you will receive the most up-to-date care. Look for equipment like digital X-rays, chair side screens, and dental lasers. Also inquire about sedation or anesthesia methods available in the office. The location of the office should factor into your decision as you choose a professional to perform your dental implant procedure, as well as the office hours and staff. You should feel confident in the care you’ll receive, and feel comfortable asking questions and receiving treatment. Implant treatment requires multiple visits, so choose a dentist who you don’t mind establishing a relationship with over time. If you have tooth pain or another issue, you might wonder what a visit to the dentist may reveal. You may need a root canal procedure. In order to properly evaluate your issue and to confirm the need for a procedure, a dentist will examine several factors. 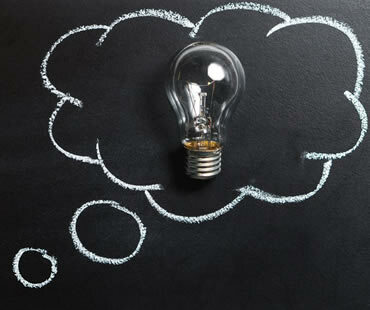 These typically include the symptoms you are experiencing, the signs observed, and any additional testing required to confirm an initial theory. You experience average to severe pain that lingers, during or immediately after drinking hot liquids or food, or very cold liquids or foods. You have pain, swelling, or sensitivity when biting or chewing on a certain tooth. Your tooth pain disrupts your life, preventing you from sleeping through the night or conducting your daily business without taking an over-the-counter pain reliever. You have a “bubble” on your gum, similar to a pimple. When irritated, it may release blood or pus that can smell or taste bad. You have pain that radiates out from one tooth to other areas of your head or jaw. 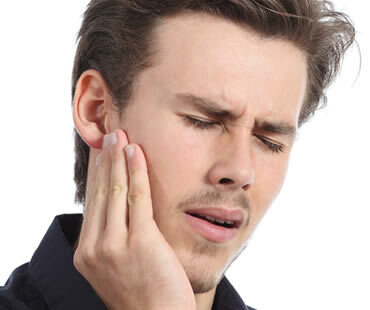 For example, a tooth pain can lead to a pain behind the eye like a headache or to the ear, resulting in earache symptoms. You have a discolored tooth that is darker than the surrounding teeth. A grey tooth can indicate a “dead” tooth. You have a broken or cracked tooth with obvious signs of damage or decay. Sometimes, teeth needing to undergo a root canal procedure have no symptoms discernible to the patient. It is important to visit your dentist regularly to ensure the proper diagnosis and treatment needed to maintain life-long oral health. If you need root canal treatment in the Clinton NJ area, contact our office today to schedule a consultation. Not all dental procedures are extensive and invasive. Cosmetic dentistry offers many treatments to improve your smile that are relatively simple and require little time in the dental chair. If you have good overall oral health but are unhappy with your smile, you may want to consider some of these options for quick improvement. Teeth whitening is one of the easiest and most popular cosmetic dental treatments for instantly improving the quality of your smile. Every day we expose our teeth to damaging and dulling foods and beverages that result in a dingy smile. Professional teeth whitening can whiten your teeth as much as ten shades in as little as one office visit, leaving you with a healthier and younger looking smile. Dental bonding is an excellent way to repair small imperfections on teeth quickly, such as a discolored, chipped, or oddly shaped teeth. Bonding is essentially a simplified version of a veneer or a crown using tooth-colored resin to bond to the tooth and repair the problem. Bonding can usually be completed in a single visit to your dentist. Many dentists are now offering snap-on teeth. A Snap-On Smile is a removable appliance that covers your natural teeth. 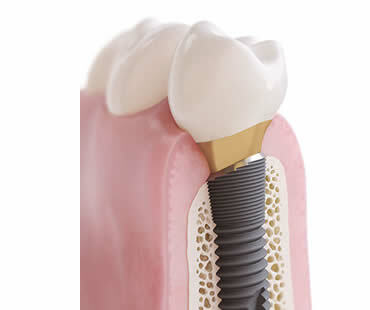 The appliance uses your natural teeth to stay in place and does not require any additional adhesive to hold in place. A Snap-On Smile can be removed during sleep and for cleaning, but otherwise stays in your mouth for all of your usual activities. Patients with special needs, such as fear of the dentist or medical conditions which preclude extensive dental procedures, may also benefit from the use of snap-on teeth. For more information about how to quickly and easily improve the look of your smile, schedule a consultation with cosmetic dentist Dr. Townsend. It is easier than you may think to get that beautiful smile in no time! Regardless of what aspect you dislike about your smile, there are cosmetic dentistry procedures to treat them. Smile makeovers are possible to give you the look you’ve been wanting. Not only do they enhance your smile, but they also boost your confidence. You may not know all the options and the problems they address. So here’s a list that can help you decide which of them is relevant to you. Teeth can easily become discolored from poor hygiene due to consuming foods and drinks such as coffee, red wine, berries, and tea. Smoking is a big culprit for tooth discoloration. Teeth whitening is the most common way to brighten your smile, and various methods are available either at home or professionally. Teeth that are crowded or malaligned are not only unappealing; they can also make oral hygiene management more difficult and cause added stress on your jaw. Traditional braces, clear methods like Invisalign, crowns, and porcelain veneers are various ways misalignment might be treated. Discuss with your dentist that of those options is best for you. Spaces between your teeth can be embarrassing socially, as well as detrimental to the function of your teeth. Braces or Invisalign are excellent ways to correct gaps. 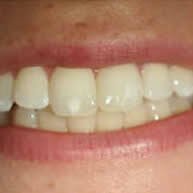 Veneers are another option depending on how large your gaps are. Those are alternatives to cater for your budget. Excessive amounts of your gums show when you smile can create what is known as a gummy smile. Treatments may include gum sculpting, veneers, crowns, braces, or surgery. Smile restoration can be done with dental implants, bridges, or dentures. Each of these solutions has their good and bad aspects. Therefore, consult your dentist for advice before deciding on it. If untreated, worn teeth can cause tooth loss or dental health problems. Teeth that are damaged can often be restored with either veneers or crowns. It can be rather upsetting to see that your smile is no longer as bright and appealing as it used to. Most people’s teeth become stained and discolored and result of diet and poor oral hygiene habits. It can make the whole appearance look dull and unkempt, giving others the impression you don’t take good care of yourself. Let’s find out the causes and what you can do about it. Tobacco – Smoking or chewing on them stains teeth. Foods and drinks – coffee, colas, wines, tea, berries, sauces, and other items that you consume can damage your tooth color. Medications – certain medications are known to discolor teeth, sometimes causing severe stains that are difficult to remove. Poor oral hygiene – improper brushing and flossing is key in removing plaque and stains. Age – aging wears away tooth enamel and reveals the yellowish dentin underneath. Disease – some diseases can harm tooth enamel and trigger discoloration. Certain medical treatments like radiation and chemotherapy can also discolor teeth. Environment – excessive fluoride exposure can stain teeth; this is known as fluorosis. Genetics – some people are more prone to tooth discoloration than others. Trauma – a hit to the maxillofacial region can damage the tooth and cause discoloration due to pulp necrosis. Lifestyle changes can prevent tooth discoloration, such as avoiding foods and drinks known to stain teeth. Improving oral hygiene is another step in the right direction, including regular brushing and flossing and consistent professional teeth cleanings. The options vary depending on the severity of discoloration and goals of the patient. Whitening methods include over-the-counter whitening products, at-home whitening kits provided by the dentist, professional in-office whitening treatments, bonding, and dental veneers. These tools cater for various needs according to patient’s concern. Endodontics is a dental term often linked to a more common dental procedure you’ve probably already heard of called root canal treatment. Endodontics focuses on the pulp of your tooth, which holds nerves and blood vessels supplying nutrients and oxygen to your tooth. When the pulp is infected or injured, endodontic treatment may be performed to save the tooth. During endodontic treatment, the hollow part inside your tooth is cleaned, disinfected, and filled. It is often the best way to save a tooth that has been damaged by decay, trauma, or other causes. Common symptoms that endodontic treatment is necessary include pain, tooth sensitivity, or exposure of the pulp due to tooth fracture. After examining your tooth and X-ray results, your dentist will recommend the kind of endodontic treatment you need based on how seriously the pulp is impacted. One type is called vital pulp therapy, which has a goal of preserving and protecting your tooth’s pulp. This procedure involves removing only the pulp from the crown of your tooth and not from the root. It is only advised when there is no swelling or abscess present, and the tooth is secure. Another type of endodontic treatment is non-vital pulp therapy, which is known as root canal treatment. It is performed when there is no chance of saving the pulp of your tooth. The whole pulp will be removed from inside your tooth, and the canals will be cleaned and filled with a special material. Then a stainless steel crown will be placed on the tooth. Sometimes endodontic treatment is not recommended, and the tooth needs to be extracted instead. This choice depends on factors such as tooth location, age of the tooth, extent of damage, and the patient’s overall health. 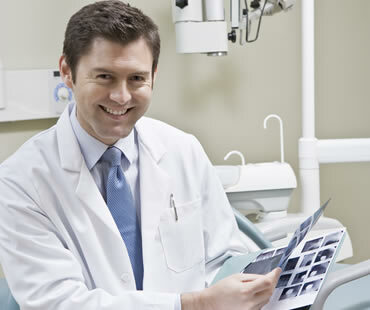 Your dentist will be able to advise you on the best treatment for your condition. Does your smile need some work? Are you sensitive about your teeth and how you may look while you eat or drink? Does speaking in public leave you anxious because you’re worried about the appearance of your teeth? Have you been putting off talking to a cosmetic dentist because you’re worried about the dental therapies you might need? Don’t be afraid of a smile makeover! A smile makeover can be a simple thing, as minor and fast as teeth whitening, a process that can often be completed in-office in a single visit. If you are looking for solutions to your smile problems, begin by finding a skilled cosmetic dentist. You want to be sure to see photographs of some of the actual work done by a particular cosmetic dentist. Don’t assume that what you see online are actual patient photographs – they may be someone’s patients, but if they weren’t this dentist’s patients, you’re not getting any closer to identifying the right cosmetic dentist for you. Ask around for private recommendations from friends and family; it might surprise you how many people you know have had work done to their smiles. You might assume that your coworker’s smile is all natural, only to learn it’s the result of a skilled cosmetic dentist and veneer work done so carefully and well that they look just like natural teeth. Dental veneers can transform your smile in only a few visits. 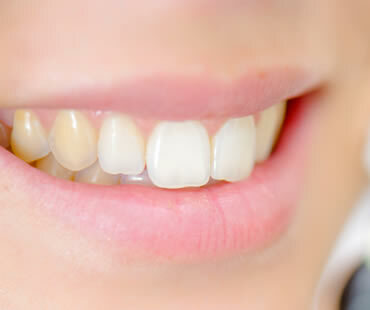 Good veneers will be made of materials that mimic the color and translucency of natural teeth. They won’t look puffy, too long or artificial and will complement your hair and skin color. Orthodontia can change the alignment of your teeth, with choices such as Invisalign to help you feel more confident as you change your smile. A smile makeover can benefit you in so many ways by simply boosting your self-confidence. After you complete your treatment, you will be surprised at how much better you feel about yourself and about life in general. You will face the day with confidence, knowing you can live your life without worry about your smile. 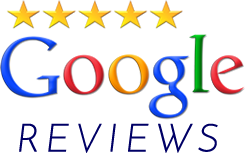 Dr. Townsend is a cosmetic dentist in Clinton NJ offering smile makeovers. Schedule a dental cleaning appointment today at our Clinton NJ dentists office. 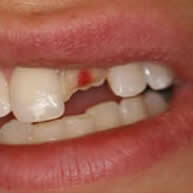 An estimated 50 million Americans have lost all their teeth, and 69 percent of adults are missing at least one tooth. Without a full set of teeth, you may deal with alignment problems, dietary restrictions, and self-esteem issues. With modern dentures, your dentist can renew your appearance and improve oral health. Dentures are prosthetic appliances created to replace missing teeth. 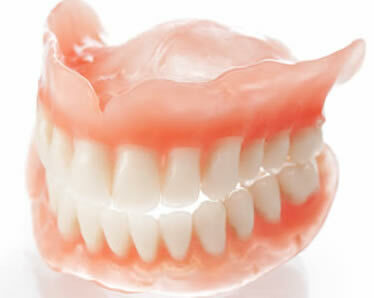 Full dentures are rows of false teeth that cover the upper, lower, or both arches. If you still have some of your natural teeth, your dentist may suggest a partial denture, which fits into the empty space in your smile like a puzzle piece. At first, your prosthesis may take some getting used to, so give your mouth time to adjust. You may have some difficulty with pronunciation, but that will pass. As we age, our mouth tissues change. Over time, your dentures may need to be repositioned, realigned, or entirely remade. Never make changes to your appliance; contact your dentist if something doesn’t seem right. To protect your dental appliance, handle the denture with care. When you take the device out, always store it safely in its case. Gently clean your dentures with mild soap and water to remove bacteria. Make sure to put the denture out of reach from small children or pets. Do I still need to brush if I have dentures? Absolutely. Your gums still need proper oral care, so brush them twice daily to keep the tissue healthy.